Unlike so many history buffs, I’ve always found the Civil War one of the more uninteresting periods of American history. After finishing Thomas Keneally’s Abraham Lincoln (Penguin, 2008), this was no longer the case. 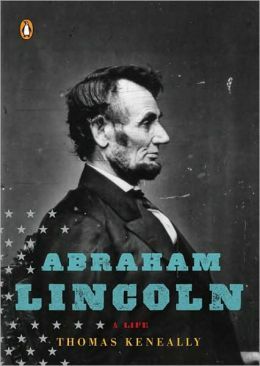 I’ve enjoyed this short introduction to our 16th and greatest president both for its insights into the extraordinary character of Lincoln and for its treatment of other topics – such as the Lincoln-Douglas debates, the feats and failures of Civil War generals, and the colorful members of Lincoln’s cabinet – that I’m less familiar with and want to learn more of. As an example of the former – insights into Lincoln’s character – is the below excerpt, which reminds me of the biblical truth that those who exalt themselves will be humbled, while those who humble themselves will be exalted. “…a new lawyer, the stocky, pugnacious Edwin M. Stanton, joined the team. Stanton was already such a legal star that he wondered why they had bothered to bring in a ‘long-armed Ape’ from Illinois. (He had, of course, no idea that he would one day serve very happily in the supposed simian’s cabinet.) Lincoln had the gift of humility – it was one of the reasons he was beloved – and as best he could he sat and learned from Stanton, but was hurt by his daily contempt and hubris” (59).